Dinner: Sunday - Thursday: 5:00pm - 10:30pm, Friday - Saturday: 5:00pm - 11:00pm. Accordion player every night except Mondays and Thursdays. *Consuming raw or undercooked meat, poultry, seafood, shell stock, or eggs may increase your risk to food borne illness, especially in case of certain medical conditions. Food was good, but overpriced for the amount they gave us. Very dark atmosphere, made it hard to see. The food and service was great. My husband had salad and spaghetti and meatballs. I had minestrone soup and cannelloni. The salad was better than the soup. We enjoyed it all, but the garlic Parmesan bread was outstanding! I’ve never had better bread anywhere. The house wines are complementary with dinner, but they weren’t great - especially the white wine. I would go back again. Great atmosphere that takes back into the rat pack era Vegas with great food and service. 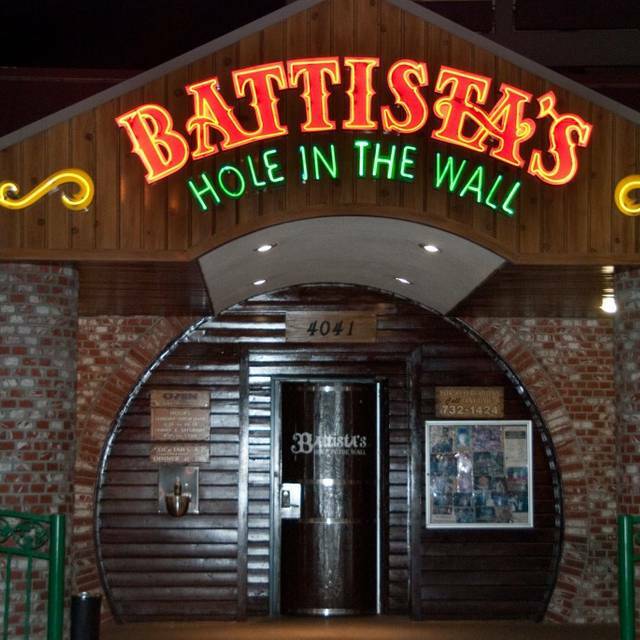 Enjoyed dining at Battista's immensely! Excellent customer service; all staff we encountered were friendly and seemed happy we were there. We made a reservation through Open Table and were seated immediately. Accordion player was so nice. Decor is very interesting. Food is very good; big portions; could not do it justice. Everything is included with your entree which was also nice. Tip: Our server suggested we may want to share an entree next time. Will go there again next time we visit Vegas. Food was average to below average Italian. We expected much better based on the popularity of this restaurant. Liked the accordion player and ambiance. Don’t think it will be on our list the next time we visit Las Vegas. 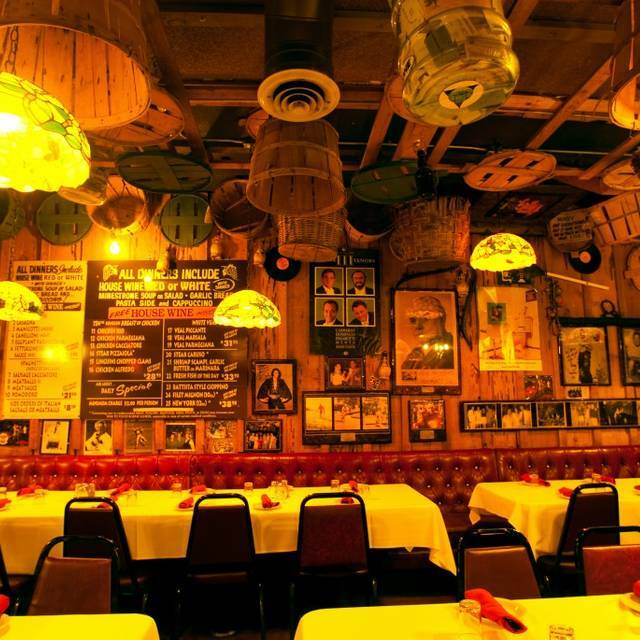 One of the best hidden gems in Vegas. Excellent in every way! Great food, fantastic bread, red or white wine included, wonderful atmosphere, and some of the best service anywhere in Las Vegas. The food was great and plenty. The staff was very attentive and nice. It’s a great place to eat! The service was lacking. Our waiter didn’t even greet us and made no attempt to be personable or talk to us beyond taking our order. When my husband asked about a military discount, he acted offended that we would even ask. 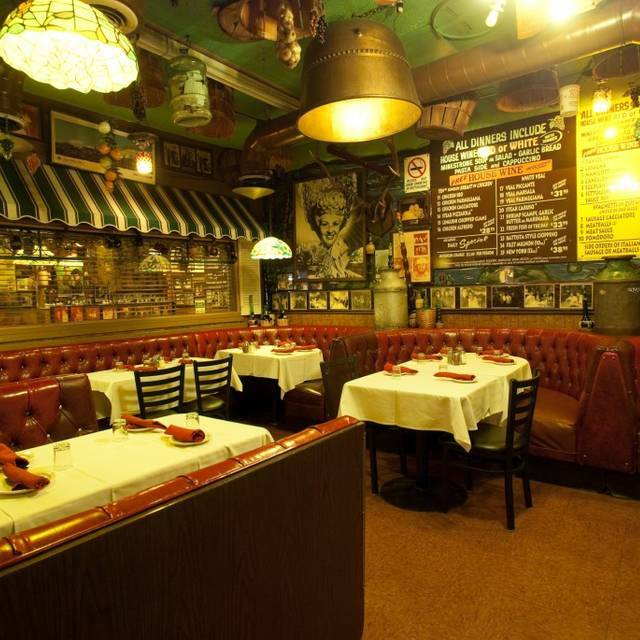 Very old Italian Restaurant. BARGAIN price fix. Good food . Not Sinatra,s but 70% less. Great service and great food. Have been there before 30 years ago and it's still a winner! A Las Vegas treasure for sure. Birthday dinner on a Friday night. It was packed and very loud. However food was amazing as usual! Great place; great value; walkable and close to monorail. Best after 8:30 pm or before 6 pm. Try this restaurant. Wine include with every meal! Toasted garlic bread with every meal! Great food and great service. We tried both colors of linguine with clams. Was more fishy tasting than I would have preferred, but very good. We will be back to this one again. Love this place!!! Been there a few times! Love the accordion man ! 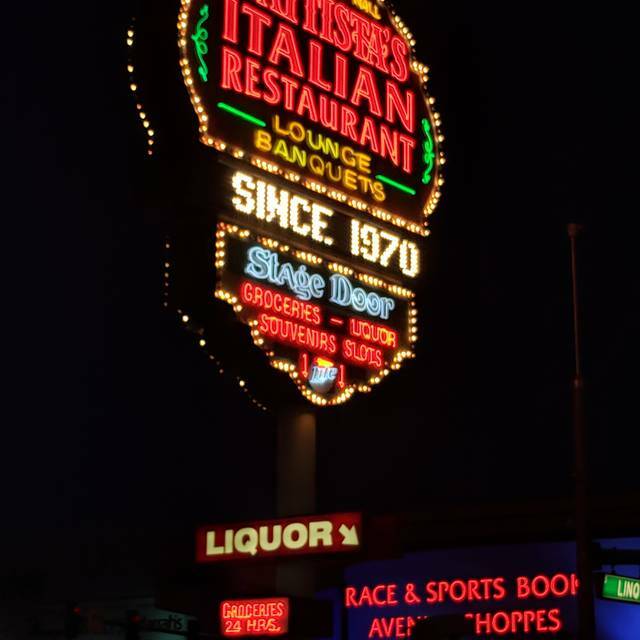 Everytime we go to Vegas, we have dinner here. Amazing food and service. The atmosphere is full of history. As always, a great experience with good food and awesome atmosphere. Will always recommend to anyone in town. Great food, unlimited wine, couldn’t have been a better first dinner in Vegas! Fun night! Will definitely be back next time we visit Vegas! Minestrone soup and garlic bread wonderful, and wine was a great bonus! Best Italian restraint we have been to. Excellent service, superb food and loved the accordion player! Prices were very reasonable for 2 people for what you got. The house wines were very good also. Have already recommended you to people we met in Vegas and will tell our friends. Thank you for a very enjoyable experience. Bar none my favorite place to go for dinner in Vegas. 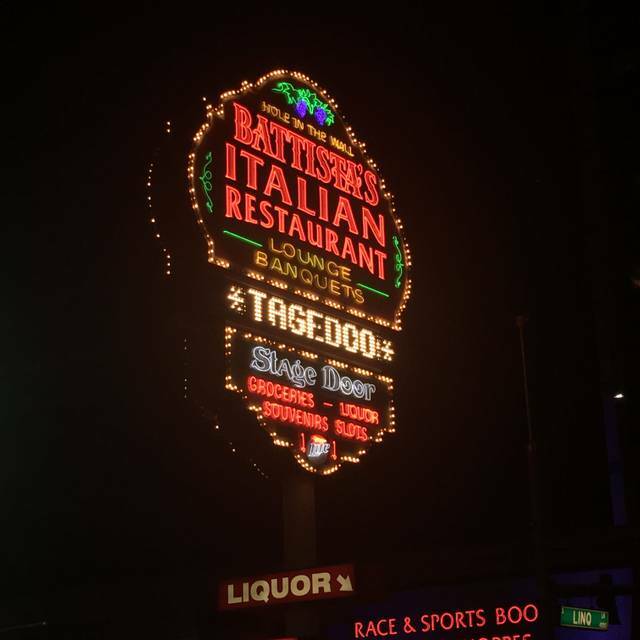 Has not been one instance in 15 years of coming to Vegas that Battista’s has not been the go to for dinner at least once while here. I’m from Florida and we have been coming to Vegas since the 60’s. 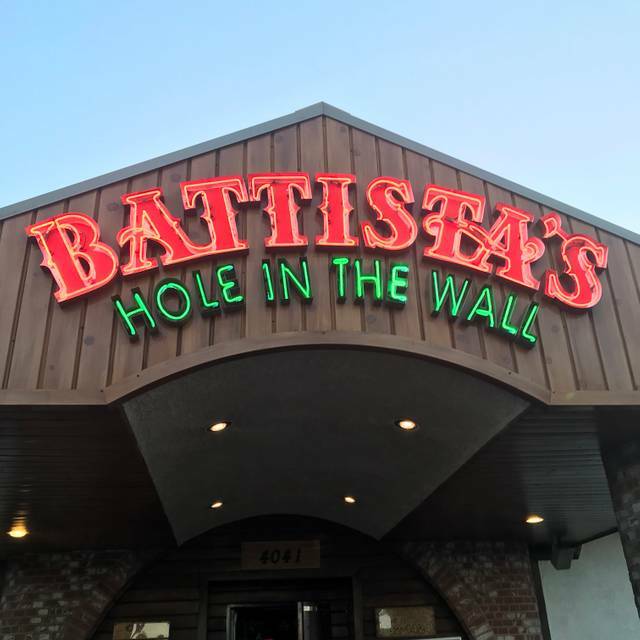 Our vsit is not complete unless we go to Battista “Hole in the wall”. Yummy food! Make sure you make reservations as they are always busy. Never disappoints! Still one of the best meals, and best value for your money in Vegas. Plus the old-school atmosphere is second-to-none! 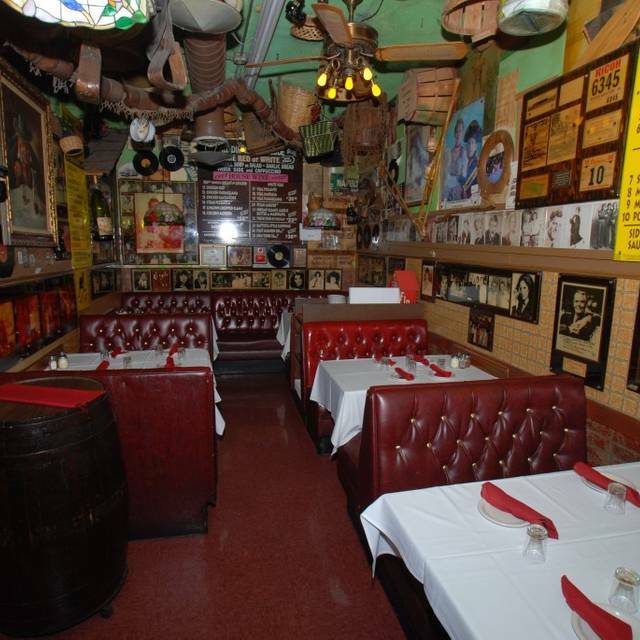 Great place for an intimate gathering! I visit Battista’s every time I come to Vegsas! The entire meal is always wonderful and thoroughly enjoy seeing the adorable gentlemen playing the accordion. It’s a must restaurant you have to experience. 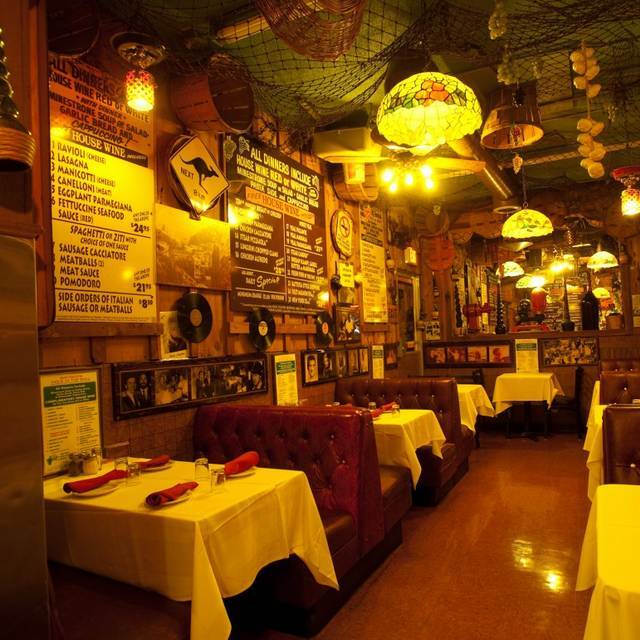 As always Battista'' had Great Food and Great Service. 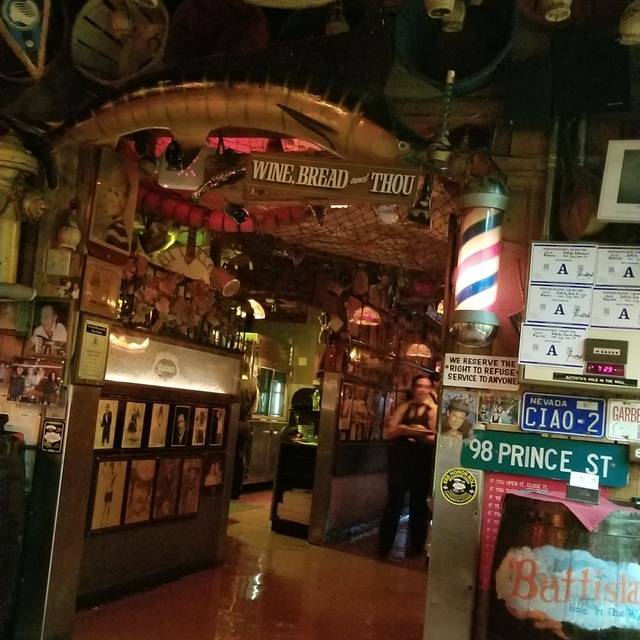 Haven’t been to Battista’s since our honeymoon in 1976. Wonderful food!! Classic Italian! Wine is complimentary and excellent. The chicken parmesan was absolutely delicious. You also can't beat the value: for $31.95 you get house wine, salad, garlic bread, entree that comes with side of pasta, and cappuccino for dessert. The main waiter could have been friendlier but the other waiter that brought our salads, etc. was very nice. Several of the locals recommended this restaurant and it is always very busy. We could only get a 9:00 pm seating on a Thursday evening, so be sure you make reservations early. Oh, and come hungry! Amazing ambiance great food. We will definitely be back next time we visit Vegas! As always. Great food. Great atmosphere. Great service. It’s a little gem just off the strip. A hidden GEM in Las Vegas! The service was Great, the food was Great, and you get MORE than you pay for! I would HIGHLY RECCOMEND if you have a chance to go.... do it!